Today's echocardiography continues to be a low-cost, minimal-risk procedure with the potential to yield a vast amount of detailed, precise anatomic and physiologic information. 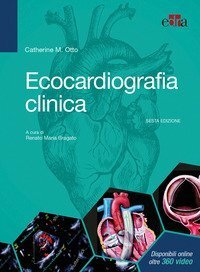 Dr. Catherine Otto's Textbook of Clinical Echocardiography, 6th Edition, clearly outlines how to master the core principles of echocardiographic imaging in order to make an initial diagnosis and integrate this data in clinical decision making for patients with a wide range of cardiovascular diseases. Ideal for cardiology fellows, medicine residents, and cardiac sonography students, this bestselling text teaches all the essential elements of ultrasound physics, tomographic and 3D anatomy, image acquisition, advanced imaging modalities, and application in specific disease categories- all with a practical, problem-based approach. Concentrates on the foundational concepts you need to know to perform and interpret echocardiographic studies and to pass your board exams. 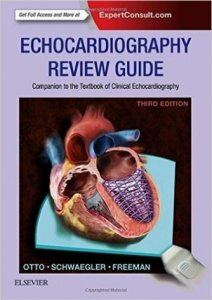 Covers all advanced echo techniques, including contrast echo, 3D echo, and myocardial mechanics, as well as intraoperative and intra-procedural transesophageal echocardiography (TEE). 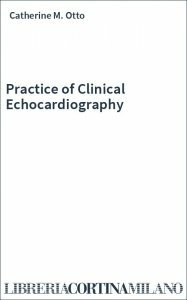 Discusses what alternative diagnostic approaches to initiate when echocardiography does not provide a definitive answer. Includes new Echo Math boxes in each chapter for quick review and greater comprehension. Provides new ASE recommendations for chamber quantitation, including updated tables of normal measurements. Matches full-color anatomic drawings of heart structures with the 2D and 3D echocardiographic views. Pairs state-of-the-art echo images with more than 360 videos that illustrate the full range of cardiac disease diagnosed with this powerful imaging approach. Expert ConsultT eBook version included with purchase. This enhanced eBook experience allows you click on each figure to see the corresponding video, as well as search all of the text, figures, and references from the book on a variety of devices. 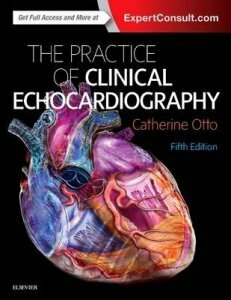 In "Practice of Clinical Echocardiography", world-renowned authority Dr. Catherine M. Otto offers expert guidance on interpreting echocardiographic images and Doppler flow data and applying your findings to your daily clinical decision making. This medical reference book keeps you current on the latest advances and techniques, so you can implement the best possible approaches with your patients. 2014 BMA Medical Book Awards 1st Prize Award Winner in Cardiology category! Internationally renowned cardiologists Drs. 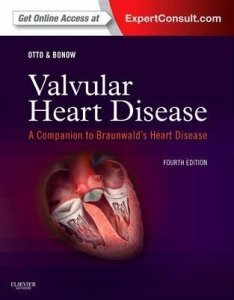 Catherine M. Otto and Robert O. Bonow help you to apply all of the latest scientific knowledge and clinical strategies with Valvular Heart Disease, a companion to Braunwald's Heart Disease. This indispensable resource for your everyday practice provides all of the knowledge you need to give your patients the most accurate diagnoses, the best possible heart disease treatment options, and the expert care they deserve. 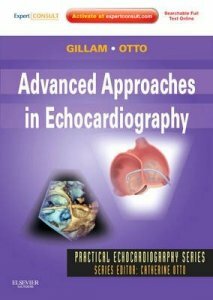 Advanced Approaches in Echocardiography - a volume in the exciting new Practical Echocardiography Series edited by Dr. Catherine M. Otto - provides practical, how-to guidance on advanced and challenging echocardiographic techniques such as 3D echo, contrast echo, strain echo, and intracardiac echo. Definitive, expert instruction from Drs. Linda D. Gillam and Catherine M. Otto is presented in a highly visual, case-based approach that facilitates understanding and equips you to master these difficult and cutting-edge modalities. Access the full text online along with cases, procedural videos and abundant, detailed figures and tables that show you how to proceed, step by step, and get the best results. 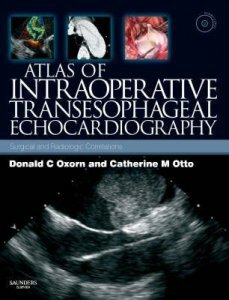 This outstanding new atlas makes it easy to interpret intraoperative transesophageal echocardiography findings for both healthy and diseased patients. A multidisciplinary team uses clinical case studies to explore the characteristic intraoperative TEE findings for every type of cardiac abnormality, along with correlative imaging and pathology findings. Videos on the accompanying DVD demonstrate echocardiograms, cardiac catheterizations, and surgical procedures. The result is an outstanding way makes sure you are obtaining the maximum diagnostic benefit from this versatile modality.